Nasturtium berries are the edible, pepper-tasting seeds that form from a nasturtium flower. Pickled nasturtium berries are perfect for salads, pasta or any recipe that uses capers. Nasturtiums are a beautiful flowering vine. With their large seeds and prolific nature, they are easy to grow. The only trick to nasturtiums is that they generally succumb to aphids around mid-summer… however, I view this as a bonus, since it means they’re keeping the aphids off of my other plants! All parts of the nasturtium are edible, with a pepper-like flavour. Add the leaves and flowers to your summer salad. Use the flowers as a garnish for everything from pasta to a potato salad. Save the largest seeds for planting the next year. 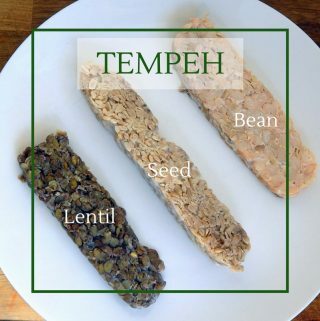 Allow them to dry out completely, then store them in an envelope with your other seeds. Harvest the young, green seeds for pickled nasturtium berries. 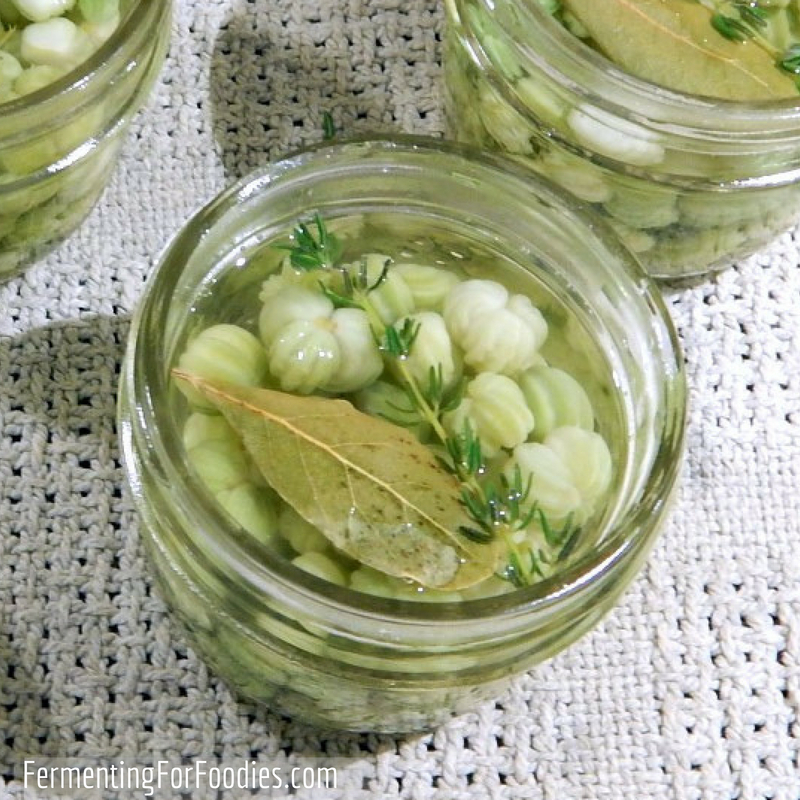 Pickled nasturtium berries are a great substitute for capers. The trick is to harvest the seeds while they are still young and green. Once they turn brown you can save them for planting the next year. Nasturtium seeds are ridiculously easy to save from year to year, which is why they are so expensive to buy in the first place. It’s like getting a SCOBY, you only need to buy it once. Mix the salt and water to form a brine. Clean nasturtium berries and put them in a sterilized jar. Add the culture and cover the berries with the brine. Add extra water as needed to cover the berries. Allow to ferment at room temperature for 3-5 days. 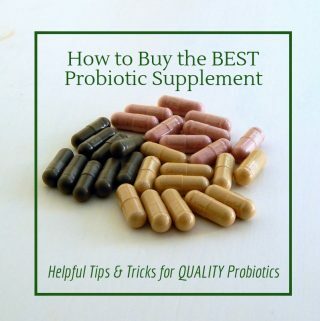 After fermenting, store in the fridge and use within 1 month. 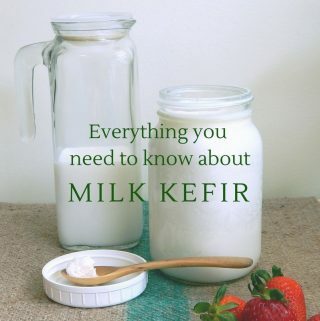 -Read up on Fermentation Basics to avoid making a mistake with this very special crop. -I used whey as my starter, but you could also use sauerkraut juice or a purchased starter. 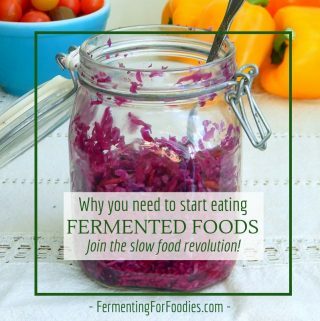 A starter isn’t required with most vegetables, but it will help the ferment to go quickly. -Nasturtium berries are a must for Nicoise salad, they can be eaten on pasta or as a salty addition to any recipe that calls for capers. -See below for the recipe on pickling nasturtium berries. 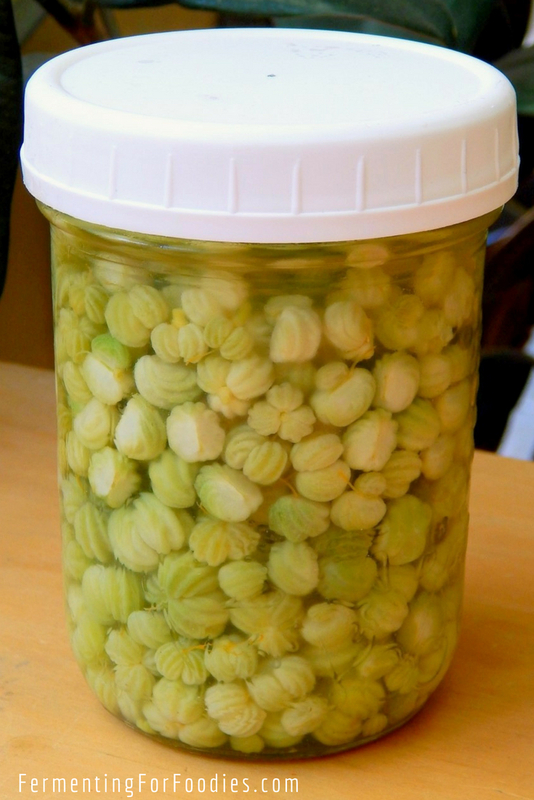 Canning pickled nasturtium berries means that you will have your own source of “capers” for the whole winter. I always do a batch of fermented berries for summer eating, then can berries for the winter. 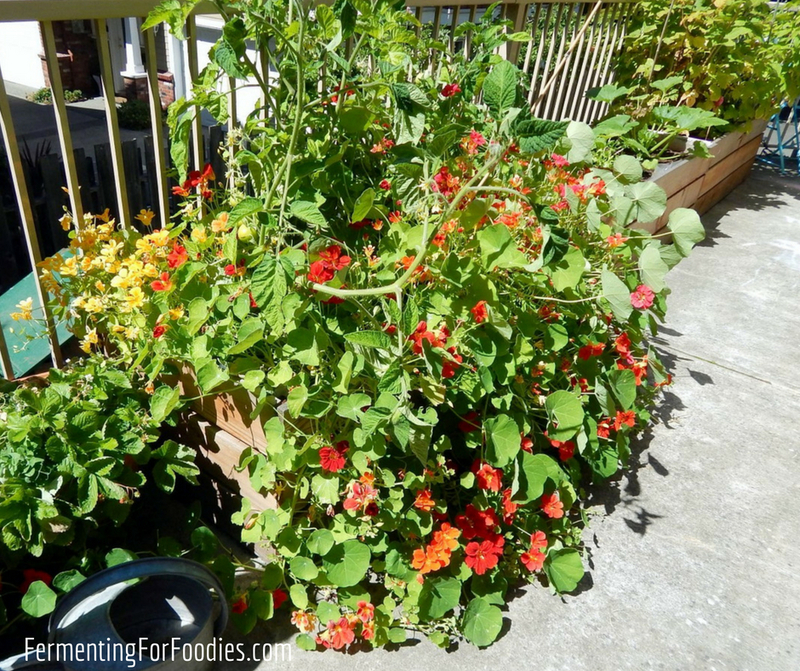 Ferment the nasturtium berries for at least 24 hours and up to 48 hours. Drained the berries and packed them into jelly jars with a bay leaf and a sprig of thyme. Bring the white vinegar and sugar up a boil. Pour the boiling vinegar over top of the nasturtium berries (up to the 1 cm head room on the jelly jar). Place the jars in a water-bath canner. Bring to a boil and boil for 10 minutes. 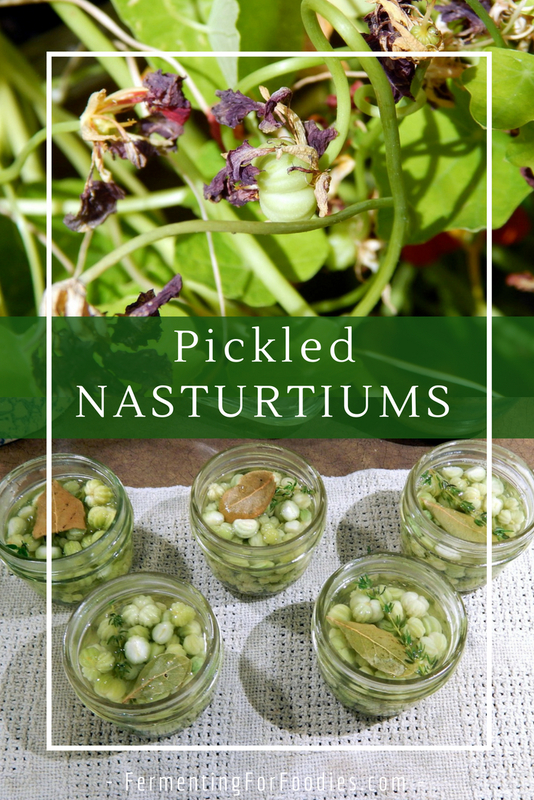 -You need to pre-ferment the nasturtium berries to develop the flavour, similar to icing cucumbers for pickles. -If this is your first time canning, you should probably read up on the basics.
. It just is the right size for something like this. Nasturum barriers been sitting 2r hours. Did .it use starter, only salt and water. Ha e Dr slipped s foul odor. Should I be concernrd? Anything that smells bad is not a good ferment. Throw it away and try again… Keep everything really clean. I think your ratios are a little off. With the recipe provided there is not enough liquid to cover the nasturtium “berries.” Thanks for posting this though! I am giving it a try with a little extra water. Cheers! That should be fine. The salt ratio is quite high. Enjoy! Hi I have tonnes of seeds and was going to start fermenting them today. I like the idea of pickling them afterwards, but don’t wish to use sugar. Any tips? Because there is vinegar in the recipe, I think you’re OK to leave out the sugar. I usually don’t use the sugar myself! Enjoy! Yes, just make sure it’s at 5% acidity. Store bought cider vinegar should be fine.